In a 6 qt sauce pan add the coconut milk, lime juice, curry powder, minced ginger, kosher salt and fresh ground pepper to taste and whisk gently until combined. Bring the mixture to a low boil and then reduce to a simmer for 10 minutes uncovered. Meanwhile rinse the shrimp with cold water and dry the shrimp in paper towel and set aside. After about 10 minutes when the mixture has slightly thickened add the shrimp and simmer now covered for 12 minutes. 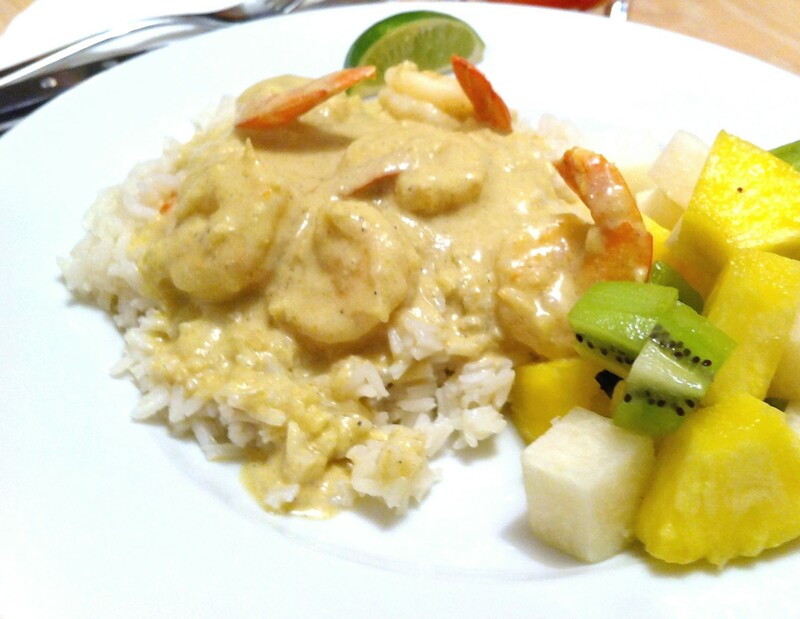 Transfer the coconut curry to a serving bowl and serve over white rice and with lime wedges.